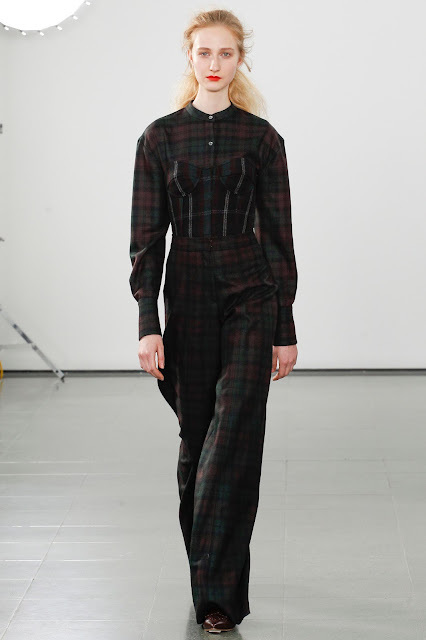 Pringle of Scotland presented a brilliant collection at London Fashion Week. Knits and wools were worked into corset-inspired looks - with a hint of tartan, of course. Luxury designer and manufacturer of knitwear, Pringle of Scotland was established over 200 years ago as a producer of fine knit hosiery and undergarments. A corsetry-inspired collection, with a hint of tartan, should come as no surprise then. 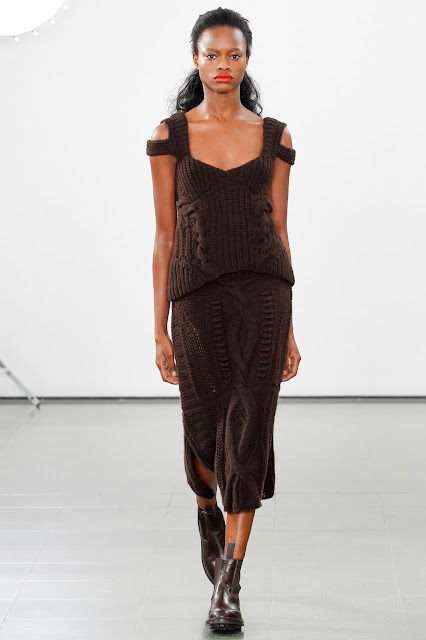 We're particularly loving the look of structured wool bodices juxtaposed against billowing, loungy silhouettes. Earlier at New York Fashion Week, Milly also put on a stellar show inspired by underpinnings. More here. Follow us on Pinterest for more of our favourite looks, on the runway and on the street, from London Fashion Week!